Atheists and others who object to ‘under God’ in the pledgedon’t have a heckler’s veto. A brief study of our Pledge of Allegiance, written in 1892 to commemorate the 400th anniversary of the discovery of America, provides an example of Lenin’s foresight. The irony that Francis Bellamy, original author of the Pledge (added to the United States Flag Code by Congress in 1942), was an advocate of socialism and that the Pledge was later amended by adding the phrase “under God” to set this nation apart from the atheist ideology of Communism during the escalation of the Cold War, is stunning. The statement that he “really had no clue” his fear would ever come about is likely false. Mr. Skelton had plenty of evidence it might come about. He must have been keenly aware of the 1962 Supreme Court decision that government-sponsored prayer in public schools was a violation of the Constitution. He also probably knew of the Court’s decision in West Virginia Board of Education v. Barnette, a 1943 ruling that held it unconstitutional to expel students for refusing to pledge allegiance to a flag they and their parents believed to be the worship of a graven image in violation of their interpretation of the Bible’s Second Commandment. I seriously doubt Red would have disagreed with that outcome. So, Red was not clairvoyant and likely did have a clue that “under God” might be challenged someday, if not as a prayer, as an establishment of religion. You would have, too, in 1969, if you had been aware of the true facts. More importantly, the author of the internet comment clearly implies how sad it is that the pledge has been removed from schools because of the “under God” phrase. But, is that true? First, the Barnette case did not take “under God” out of the Pledge. In 1943, it wasn’t in the Pledge. It also did not take the Pledge out of schools, but simply permitted objecting students to opt out of the recitation requirement. Most people I encounter believe the judiciary has eliminated the Pledge of Allegiance from our schools. Has Mr. Skelton’s fear been realized? If some schools have removed the Pledge from their daily diet, the reasoning cannot be based upon legal precedent, but may well be based upon lies repeated so often they become reality. 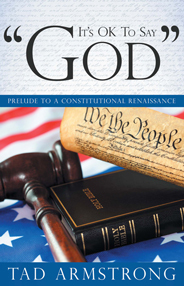 Only the 9th Circuit Court of Appeals has struck down the Pledge because of the reference to God, but in 2004 the Supreme Court reversed that decision for procedural reasons. 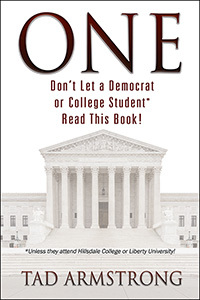 Since then, six federal circuit courts of appeal have upheld both the phrase and the voluntary recitation of the Pledge in our public schools and the Supreme Court has never addressed the issue head on. Freedom From Religion Foundation is currently asking the Supreme Court to hear its appeal of a decision it lost against Hanover School District in New Hampshire on this very question. It claims, in effect, that although the Pledge is voluntary, children of atheists are either coerced into conforming with the majority or are ostracized for their beliefs. I agree with most of the government-sponsored prayer cases, but I do not agree with the FFRF position in Hanover. Respectful silence by the minority, when confronted with the belief of the majority that a higher power exists, is neither an establishment of religion nor a burden so great as to allow a heckler’s veto. The remedy for atheist parents is the same for parents of faith. Raise your children in accord with your values, correcting them, when necessary, about what they are taught in public schools, what they see on television and what they confront in daily life. Join the crowd.